A couple years ago, I saved a recipe for "Everything Seasoning" from an issue of Food Network Magazine (November 2013: Recipe listing here). As a lover of the popular Everything Bagel, I knew I wanted to make this seasoning and find some fun ways to use it. 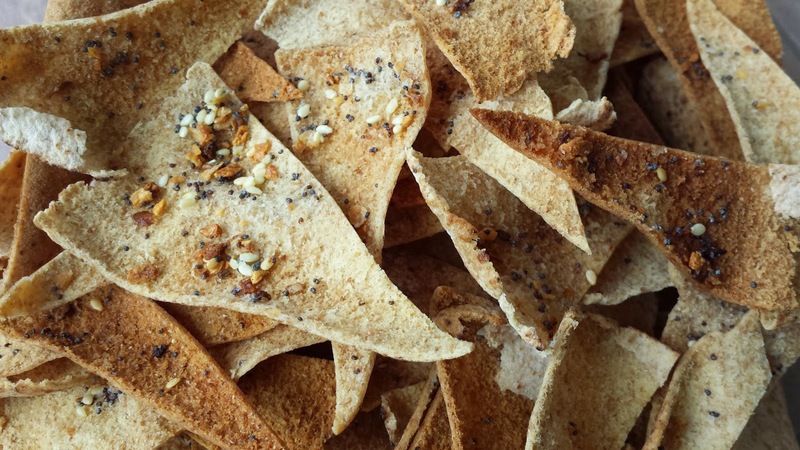 I've enjoyed experimenting with it in a variety of ways, but none as popular as these baked pita chips. My family gobbles them up like crazy, and they get rave reviews whenever I take them anywhere. I didn't realize that I hadn't shared the recipe until a friend asked me for it this weekend, which prompted me to share them with all of you. Combine in a jar and shake until thoroughly mixed. Store in a cool dry place until ready to use. My mom was searching for some good and authentic recipe to store some chips for the coming winter. Will recommend her to rake a look at your method.